Help celebrate the impact of grads at UVic’s 10th annual Alumni Week. More than a dozen free events — including talks, awards and workshops — highlight this event, running February 6 to 12, both on-campus and off. This year we focus on the vital impact of the university’s graduates, locally and around the world. But, as always, our Fine Arts alumni are busy well beyond Alumni Week activities — scroll down for a few key events featuring our fantastic alumni! Alumni Week begins on Monday, February 6 with a special kick-off launch with alumni who work on campus at the Welcome Centre (11:30am), followed by a fun presentation for current students at the Petch Fountain (1:30 to 3pm). 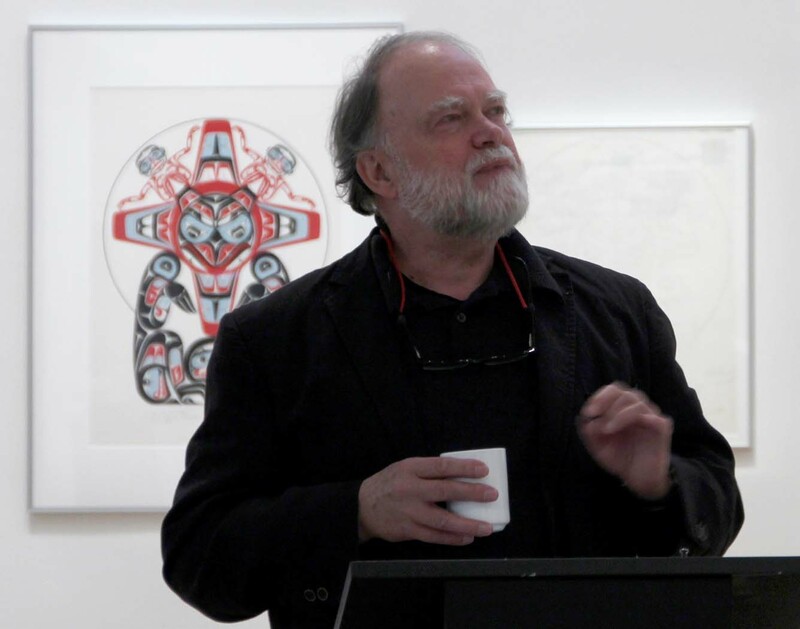 Tuesday, February 7, offers a very special presentation by Fine Arts alumnus and retired Art History and Visual Studies professor Martin Segger (BA ’69), who is being honoured as the 2017 Distinguished Alumni Award recipient by the UVic Libraries. His presentation on “Built Heritage: UVic’s Architectural Archive of the Pacific Northwest” (3pm, Mearns Centre for Learning room 129) was so popular that it sold out in less than 24 hours! Drawing on diaries, notebooks, photographs, architectural drawings and other related media in Special Collections and the University Archives, Segger takes us on a digital tour through some of the materials that illuminate the architectural history of this region. These documents together provide fascinating insights — not only into the story of our built environment, but also to the lives of those who made it, recorded it, were inspired by it and lived in it. 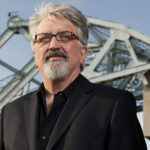 The former director and curator of the UVic Maltwood Art Museum and Gallery (1979-2010), Segger has recently has been assisting with the development of the Pacific Northwest Architectural Archive. Following the presentation, attendees are invited to enjoy a special exhibit celebrating the 50th anniversary of the Art History and Visual Studies department in the Mearns Centre’s Legacy Maltwood Gallery. Beyond Fine Arts, Tuesday also offers a Hi-Tech Co-op & Career Fair (10am to 3pm, Engineering Wing lobby), Child & Youth Care alumni reception (4:30pm, University Club) and a special event on the Etiquette of Networking with UVic Alumni Relations director Terry Cockerline (5pm, Continuing Studies Atrium), and a human rights session called Beyond Differences: How to engage with the world’s greatest challenges (7pm, Continuing Studies 280). But there’s also a special lunch gathering for grads of Health Information Science (11:30am, University Club), and a Young Alumni Paint Nite (6:30pm at Table 21, 777 Douglas), where you can grab a brush, make connections, channel your inner artist and take home your very own masterpiece . . . no painting experience necessary, as you will be guided from start to finish by a professional artist. 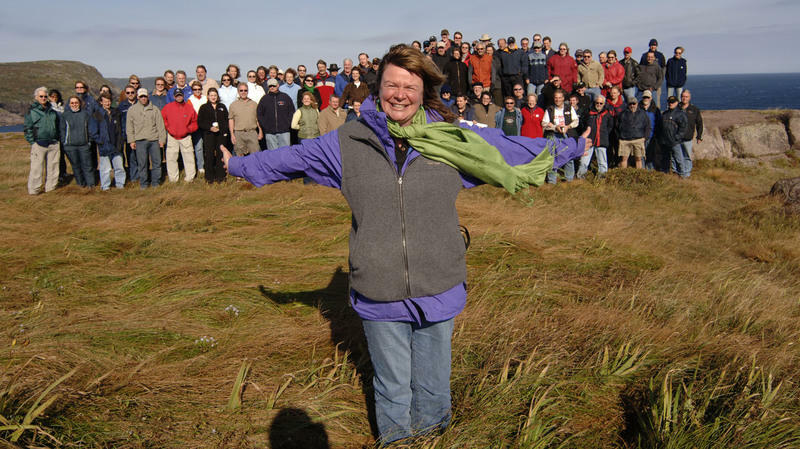 On Thursday, Feb 9, UVic Chancellor Shelagh Rogers will share her personal journey as an honorary witness to the proceedings of the Truth and Reconciliation Commission in a live interview with CHEK News anchor (and UVic alumna) Stacy Ross. 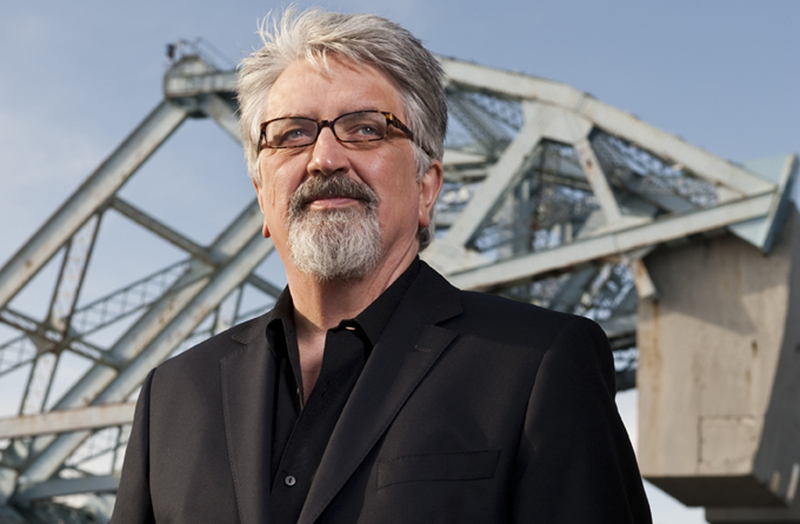 Rogers will be answering questions instead of asking them, as the CBC radio journalist – and keen observer of Canadian life – talks about reconciliation and the country’s future (7pm, First Metropolitan Church). Also on Thursday, out-of-town alumni in both Calgary and Seattle can take in a pair of regional events in their own cities: the Calgary meet & greet (7pm at the National on 10th), the Seattle meet & greet (7pm at the Rhein Haus). Friday, Feb 10, is anchored by the Vikes for Life Basketball Night (6pm women’s game, 8pm men’s game), where alumni can cheer as the Vikes take on the Winnipeg Wesmen. Better still, it’s just $7 for four seats! Saturday offers a special lunch & learn session for Victoria College alumni (from Craigdarroch and Lansdowne campuses) and the Provincial Normal School. Discover the inspiring efforts of UVic’s Victoria Hand Project, which provides 3D-printed upper-limb prosthetics to amputees in the developing world (11:30am, University Club). And all UVic Alumni are invited to an early Valentine’s Day Dinner (5:30pm, University Club) where Alumni ONECard holders are eligible for a free, one-year University Club membership. 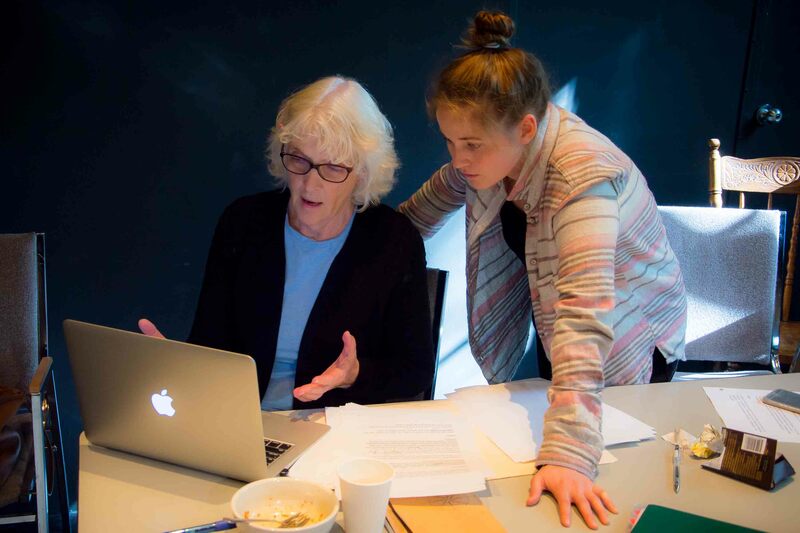 Award-winning Writing alumna Joan MacLeod has the world premiere of her latest play, Gracie, at the Belfry Theatre (1291 Gladstone) until Feb 19. 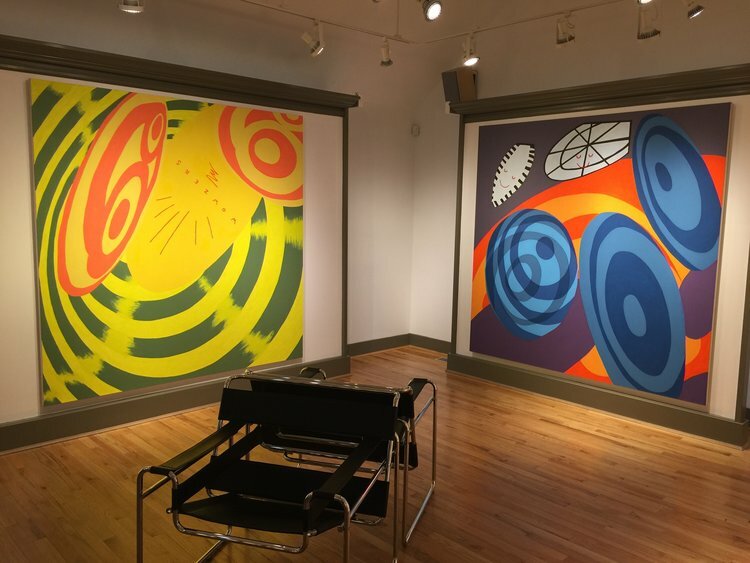 Visual Arts alumnus and sessional instructor Neil McClelland has a solo exhibit of paintings, Everything is Being Perfected, at Deluge Contemporary (636 Yates) until March 4. Visual Arts alumnus and sessional instructor Todd Lamebth presents “Friday Night Spectrum” at the Ministry of Casual Living window space (764 Yates) until Feb 15. Filmmakers and Writing alumni Jeremy Lutter (director) and Ben Rollo (writer) have the world premiere of their debut feature film — The Hollow Child, a horror thriller — at the Victoria Film Festival (9pm Feb 9 & 4pm Feb 11 at SilverCity). Also at this year’s VFF is Writing MFA alumnus Connor Gaston and his short film The Cameraman, and the alumni-heavy short film Caw, produced & directed by Jeremy Lutter, screenplay by Ryan Bright, with executive producer Meghan Bell. Both show as part of the BC Shorts Program, 9:45pm Feb 7 at the Odeon. And the local CineVic Soceity of Independent Filmmakers — whose executive director, David Geiss, also holds a screenwriting MFA from the Writing department — will be hosting public receptions for these two VFF homegrown screenings: The Camerman (7-9:30pm Feb 7) and The Hollow Child (6:30-9pm Feb 11) at their CineVic HQ (#102 – 764 Yates). 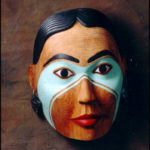 Ellen Neel: The First Woman Totem Pole Carver (until April 1, Legacy Art Gallery, 630 Yates) – Celebrate the career of Kwakiutl (Kwakwaka’wakw) carver Ellen Neel (1916-1966), the first woman carver of monumental totem poles, who had an undeniable contribution towards the recognition of Northwest coast Indian art as a contemporary art form. The Mystery of Grafton Tyler Brown (Until April 1, Legacy Art Gallery, 630 Yates) – Grafton Tyler Brown (1841-1918) was one of the first professional landscape artists to work in the Pacific Northwest; his few regional paintings that survive offer vivid windows into the world of 1880s Victoria and British Columbia. Yet, how did this African American artist succeed at a time when racial prejudice prevented most Blacks from entering any skilled profession? 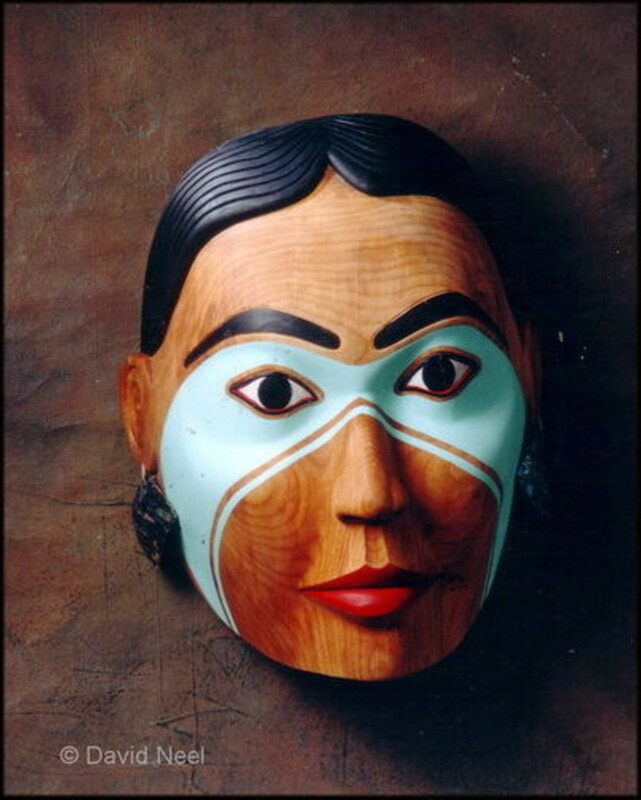 Guest curated by UVic History professor John Lutz, with Art History & Visual Studies alumna Emerald Johnstone Bedell and Caroline Riedel. Learning Through Looking (To April 13, Legacy Maltwood at the Mearns Centre – McPherson Library) – Celebrates the 50th anniversary of Art History & Visual Studies with this exhibit curated by faculty members and graduate students Jaiya Anka and Atri Hatef. Early 2017 is a busy time for our Department of Visual Arts professors, many of whom currently have exhibits both in and out of town at the moment. All too often, professors are only seen in the classroom, but these exhibits offer an invaluable opportunity to see their contemporary creative practice in action — while also demonstrating the important role UVic artists play in Victoria’s cultural community. One Way or Another is the latest sculptural exhibit by professor Megan Dickie. Focused on the failure involved in the quest for excellence, the project originated with a trilogy of videos that use classic video games as a platform to investigate human struggle; within this trilogy, a character blunders through a series of obstacles that constantly defy her. One Way or Another runs to February 20 at Open Space, 510 Fort. Dickie will also host an artist talk and exhibition catalogue launch at 1:30pm Saturday, Feb 11. Visual Arts professor Cedric Bomford is one of the artists participating in the Art Gallery of Greater Victoria group exhibit It’s in the Making, curated by Haema Sivanesan and Nicole Stanbridge. The artists in this exhibition use the act of making as a process of thinking. They investigate relationships between ideas, materials and things, take familiar materials and ways of making things and present us with new kinds of objects. Whether it is crocheting with paint, building structures that destabilize our preconceptions of space, or transforming found images to create a new idea through collage, these artists challenge set ideas of how things should be. Working with Cedric on this site-specific piece are his longtime artistic collaborators, brother and father Nathan and Jim Bomford; the exhibit also features new works by west coast artists Angela Teng, Shelley Penfold and Jess Willa Wheaton, and former Visual Arts Audain Professor Nicholas Galanin. It’s In The Making continues to February 12 at 1040 Moss Street, with an exhibit tour at 2pm Sunday, January 29. En Trance is the latest exhibit by Visual Arts professor Sandra Meigs. For over 35 years, Meigs has created vivid, enigmatic paintings that combine dense narratives with comic elements; her works gradually reveal layers of meaning, giving viewers insight into psychological spaces and philosophical ideas. In 2015, Meigs was doubly honoured to win both a Governor General’s Award and the $50,000 Gershon Iskowitz Prize at the Art Gallery of Ontario. Meigs says her paintings come from meditations that give entry to unlimited force, energy, love, being and presence. This allows a radical intervention into the practice of painting. The outcome of the intervention is exuberant visual energy coming forth through the work. Her work utters a call to pay attention, to wake up. Each canvas permits an unfolding encounter. We can never really know the “experiencer”, she reminds us; we can only really know the experience. As such the paintings are talismans to elevate the soul, to get the small “egoic self” out of the way and to allow space for living in the moment. All these paintings were completed during the summer of 2016, and En Trance offers a preview featuring 15 of the 30 paintings that will be exhibited in September 2017 at the Art Gallery of Ontario, as part of her Iskowitz Prize. En Trance runs to to February 11 at Winchester Galleries, 2260 Oak Bay Ave, with a celebratory reception running from 7- 9 pm Saturday, January 28. 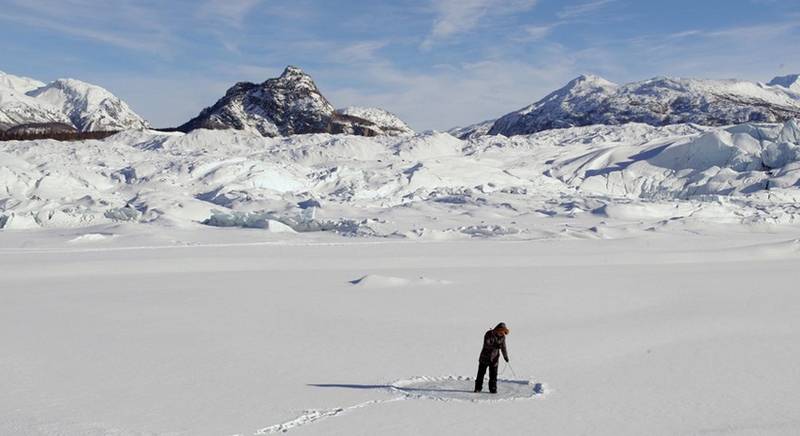 Visual Arts chair Paul Walde‘s 2014 Requiem for a Glacier installation and sound performance work continues to attract attention both nationally and internationally. Requiem for a Glacier memorializes BC’s Jumbo Glacier area, an ancient feature of the landscape leftover from the last ice age, now under immediate threat from global warming and resort development. Requiem received mention in the December 2016 issue of Canadian Art magazine as part of the fall 2016 group exhibit “The Edge of the Earth” at Ryerson’s Image Centre in Toronto, and it’s now on view at the WKP Kennedy Gallery in North Bay, Ontario, until February 10. And after a successful summer 2016 run at the Anchorage Museum, Walde’s most recent piece — Alaska Variations, another installation and sound performance — is currently touring with the museum exhibit The View from Here: The Arctic At The Centre of the World, curated by Julie Decker. The contributors explore the ideas of “wilderness” and “remoteness,” the lessons to be learned from cold places and indigenous knowledge, and how the Arctic is a signal for global change. 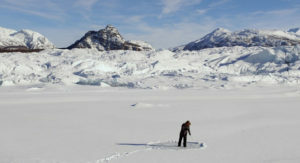 The View from Here was also part of the Tromsø International Film Festival in January 2017, and the exhibit itself continues to February 28 at the Nordnorsk Kunstmuseum in Tromsø, Norway — the northernmost art museum in the world. Visual Arts MFA alumni and current sessional instructors Jeroen Witvliet and Neil McClelland both have concurrent exhibits as part of the Comox Valley Art Gallery show Extracting Narratives, an artistic program bringing together new work by these contemporary painters in an exhibition that draws attention to shifting relations found in daily life and varied stories told through the painted image. Witvliet’s exhibit is All Tomorrow’s Parties, while McClelland presents The Perfect Nowhere. “Our work invites viewers to construct meaning, to explore the in-between space between the separate elements within the paintings, and between the paintings in the gallery space.” Extracting Narratives runs to Feb 25 in Courtenary BC, with a community artist talk at noon on February 7 at North Island College’s Stan Hagen Theatre. Neil McClelland also has his own solo exhibit: Everything is Being Perfected, running Feb 3 to March 4 at Deluge Contemporary, 636 Yates. 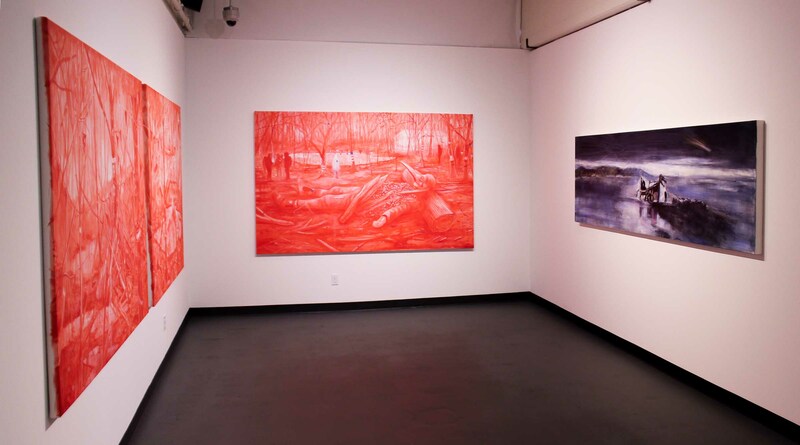 McClelland’s body of paintings in this exhibit explores tensions between utopic and dystopic visions. His work is inquiring into notions of human happiness and perfectibility, the creation of Edenic paradises, disruption and dissolution of society, alienation and consumption, nature and culture, the monstrous and the beautiful, myth-making and storytelling. Taking imagery and inspiration from literature and film — along with art historical, historical, contemporary and personal sources — McLelland creates combinations and layers of digitally edited compositions that form the basis for beginning a painting in oil. 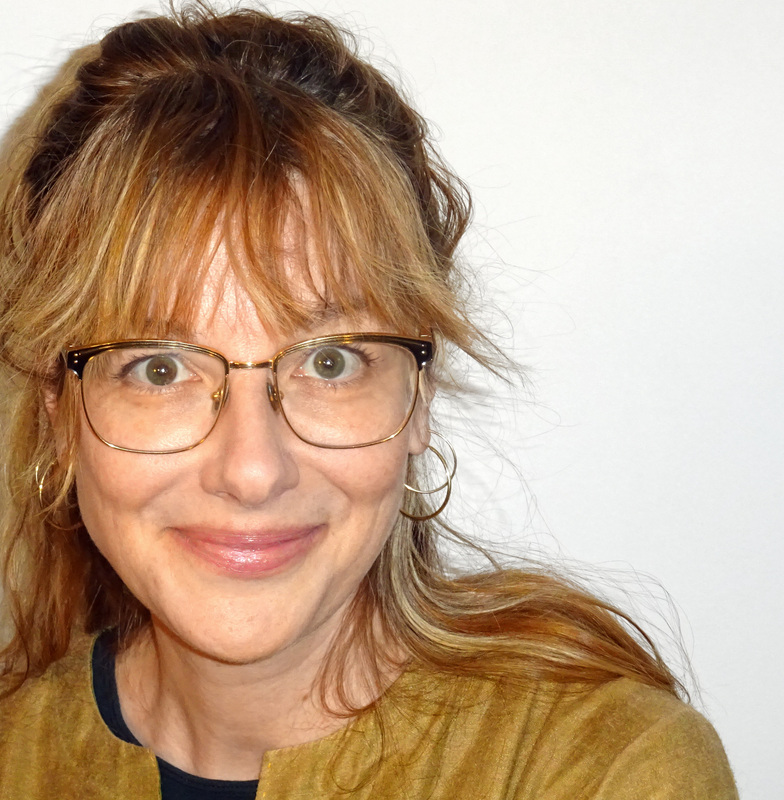 And in other Visual Arts news, MFA alumna Althea Thauberger will be the 2017 recipient for the Faculty of Fine Arts at UVic’s 10th annual Distinguished Alumni Awards. 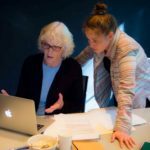 Currently Artist in Residence in Photography at Concordia University in Montreal, Thauberger’s practice involves performative and collaborative processes in the production of social documents, as well as lasting engagements with the communities and sites they are produced within. Her exhibitions and screenings have included the National Gallery of Canada, the Power Plant in Toronto, the Overgaden Institute of Contemporary Art in Copenhagen, the 2012 Liverpool Biennale, the occupied Kino Zvezda in Belgrade and the Guangong Museum of Art in China, among many others. Thauberger will receive her award at a special event on February 8; while back at UVic, she will also share her experiences with current students in the Visual Arts department. Finally, Visual Arts is hosting a number of guest artists in the coming months as part of their long-running Visiting Artists series. 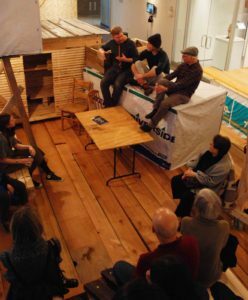 Watch for free talks by Vancouver-based sculptor and set designer Alan Storey (January 25), curator and director of Calgary’s Esker Foundation Naomi Potter (February 8), Vancouver painter Ben Reeves (February 22) and artist and educator Barbara Cole (March 1). All happen at 7:30pm in room A150 of UVic’s Visual Arts building, and all are welcome. Fourth-year School of Music voice student Margaret Lingas didn’t begin seriously training as a vocalist until she was 15 years old, getting her start with the Oxford Girls’ Choir back in 2006. Since then she’s been on a fast track to singing success, with an impressive number of solo and choral performances in Canada and abroad. 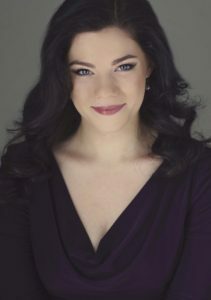 In addition to her School of Music commitments, Lingas now holds a choral scholarship at Christ Church Cathedral, sings with the St. John and St. Christopher Singers, has sung with Schola Pietatis Antonio Vivaldi since 2010 and has been in a number of Pacific Opera Victoria productions. 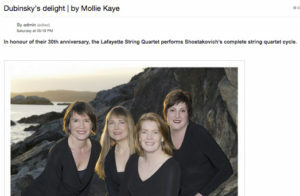 She has also performed as a soloist with the Pacific Baroque Festival Ensemble, the UVic Chorus and Orchestra, Capriccio Vocal Ensemble and the Sooke Philharmonic, as well as others. How many places have you lived? Oxfordshire, Greece, Arizona, New Jersey, Oregon, Washington DC, and now Victoria. What are three words you’d use to describe yourself? Excitable academia brat. At what age did you start learning to sing? I started actual lessons when I was 15 or so, but I owe much of what I know to growing up in a musical home. Do you play any other instruments? Guitar, passably. What’s your non-music-related hidden talent? I make really good elephant noises. What’s your personal motto? I don’t have one yet. Still waiting for one that fits. Favourite spot on campus? There are some fantastic echo-y stairwells. What do you value most about being a student at UVic? The warmth and closeness of our music school, and getting to be on a campus with so many plants and animals. What’s the most powerful thing you’ve learned at UVic? Check that your Finale (music notation software) auto-save is actually on. Favourite music to listen to? At this very moment it’s Anna Clyne, Gesualdo, and Florence and the Machine. Favourite music to learn? I love the process of learning really close/crunchy/hard-to-tune harmony with a small group. Sometimes it takes a few days, or even weeks, but it’s positively transcendent when it finally falls into place and starts to ring. Who’s your biggest role model? [Harry Potter’s] Minerva McGonagall. 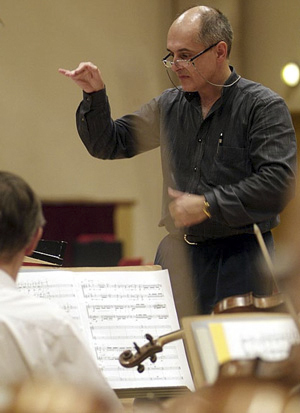 If you could invite one composer for dinner (living or not), who would it be? Schubert! We’d throw the mother of all parlour concerts. Do you have any pre-performance rituals? Eat a banana and do a silly dance. Best way to unwind? Cook something new and have dinner with friends. Best advice you’ve ever received? “Performer” doesn’t have to be synonymous with “extrovert”. There are infinite ways to give to an audience. 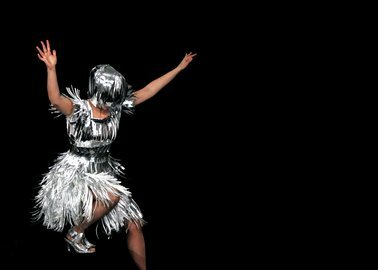 For those of us who aren’t massive extroverts in everyday life, this is especially important, because trying to put on some hugely theatrical persona for every performance feels draining and insincere. Did you follow it? I keep searching out new ways to give more and as genuinely as I can, so I suppose so. I’m still very much finding my way. Where do you see yourself in 5 years from now? I have a lot of possible plans, but they all involve singing! 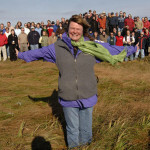 Hear Margaret Lingas with the UVic Orchestra at 8pm, Friday, January 27, in UVic’s Farquhar Auditorium. Tickets are $5 – $15, and complimentary tickets for UVic students with a valid ONECard can be reserved in advance or at the door. Tune in here for the live broadcast. 2017 is shaping up to be a busy year for Fine Arts faculty and alumni in the media. 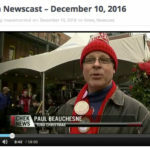 A number of stories have run in various media outlets in the last weeks of 2016 and early 2017, featuring representatives in all of our departments. Here’s a quick roundup of who’s been saying what to whom. 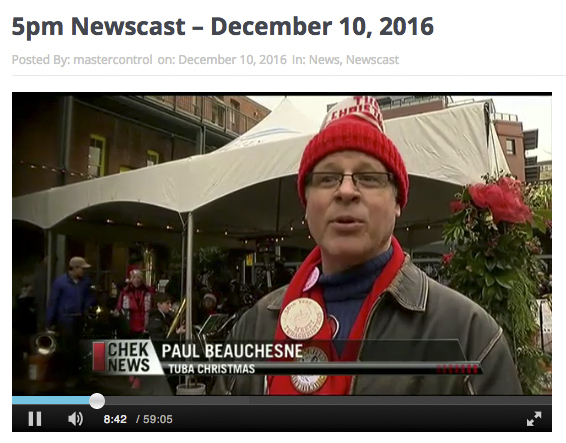 School of Music alumnus & instructor Paul Beauchesne was interviewed on TV’s CHEK6 news on December 10 (skip to the 8:14 mark), speaking as leader of the annual TubaChristmas concert in Market Square. The popular School of Music event has raised over $50,000 for local charities over the past 38 years. In this op-ed for the Times Colonist, 2016 Writing Southam Lecturer Vivian Smith explains the impact of fake news and how it can undermines democracy—a notable concern particularly during the recent US elections. 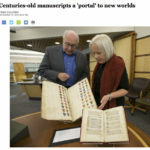 Back on December 16, Art History & Visual Studies PhD candidate Brian Pollick was quoted in this Times Colonist story about nearly two dozen rare medieval and early modern manuscripts that are available until May 1 in Victoria — thanks to an innovative new collaboration between UVic Libraries and Les Enluminures, a firm based in New York, Chicago and Paris which has the largest inventory of text manuscripts and miniatures from the Middle Ages and the Renaissance. “People of the medieval time would see a whole multiplicity of different messages, and part of what fascinates me is their visual depth,” Pollick said. 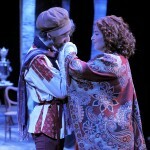 UVic is the first Canadian institution to partner with Les Enluminures. Pollick donated the initial funds to create the Medieval Manuscript Fund at the UVic Libraries. 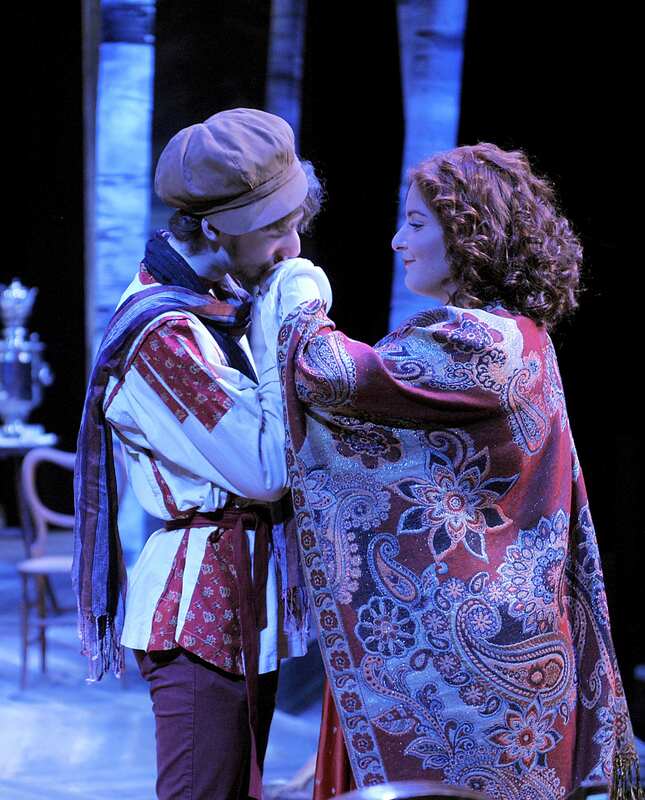 Also at the end of 2016, the annual Critics’ Choice Theatre Awards were announced on CBC Radio’s On The Island and there were plenty of Fine Arts alumni among the 2016 nominees and winners. 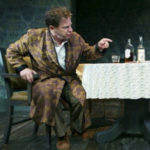 February’s Phoenix production of Wild Honey was singled out as an outstanding overall production, with Theatre professor Peter McGuire winning Best Director (community production). 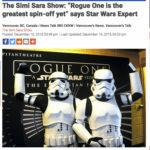 “It was one of those shows where you had to ask yourself if you were actually watching students or professional theatre,” says CBC reviewer David Lennam. See the full list of winners and nominees here. 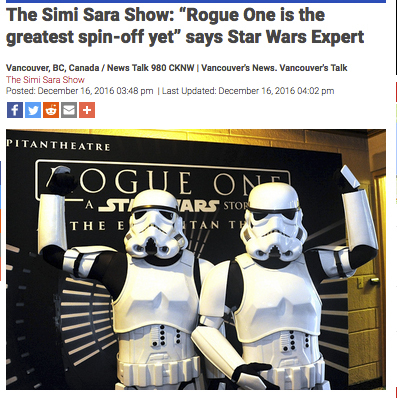 Art History & Visual Studies PhD candidate and local Star Wars expert David Christopher spoke to Vancouver’s CKNW radio on Dec 16 about the release of Rogue One, calling it “the greatest spin-off yet.” An authority on all things Force-related, Christopher was also married in full Star Wars regalia. 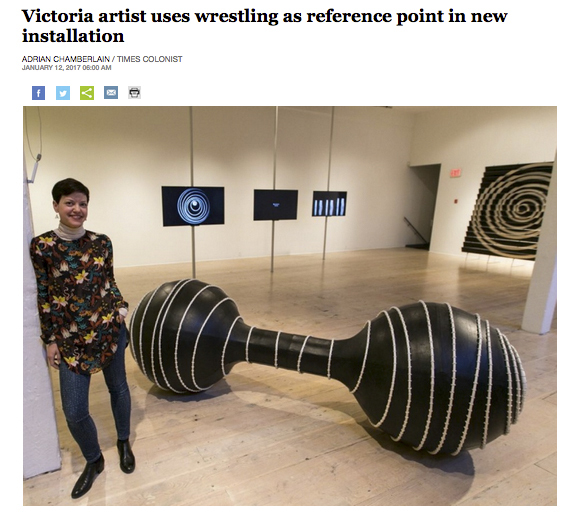 Visual Arts MFA alumna Rachel Vanderzwet‘s recent Plastic Bangles exhibit at Deluge Contemporary was written up in the Art Openings cultural blog, written by Art History & Visual Studies alumna Kate Cino. “I have a desire for each piece of the puzzle to be unique,” says Vanderzwet, “but harmonize in a composition . . . . I like the challenge of working with unusual colour combinations,” she says, “playing with pigment to create a visual push and pull within the work.” While the exhibit is now closed, Vanderzwet will be teaching a course titled “Conversations in Abstraction” from January 10 – April 4 at the Vancouver Island School of Art, which is run by another Visual Arts alum, Wendy Welch. Significant Art History & Visual Studies donor Jeffrey Rubinoff was featured in this Globe and Mail article which ran on Dec 30. Globe arts columnist Marsha Lederman visited Rubinoff’s Hornby Island sculpture park, spoke to him about his theories about art, and mentioned his 2016 donation to AHVS. 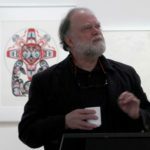 Visual Art chair Paul Walde‘s installation “Requiem for a Glacier” received a positive mention in the December 2016 issue of Canadian Art magazine as part of the group exhibit “The Edge of the Earth” at Ryerson’s Image Centre in Toronto; it is now featured in a solo exhibition at the WKP Kennedy Gallery in North Bay, Ontario until February 10. And from January 14 until February 28, the Nordnorsk Kunstmuseum in Tromsø, Norway, presents Walde’s “Alaska Variations” as part of a touring version of The View from Here: The Arctic At The Centre of the World. UVic’s longtime Artists-in-Residence, the Lafayette String Quartet, were featured in the Jan/Feb issue of Focus magazine, highlighting their history together and previewing their upcoming Feb 3-9 performance of the complete Shostakovich Cycle of 15 String Quartets. Now entering their fourth decade of performing and teaching together, the LSQ continue to be a highlight of the School of Music. “UVic has allowed us to take on these kinds of research-based projects—delving into 15 quartets of one composer is a great opportunity,” says violinist Sharon Stanis. 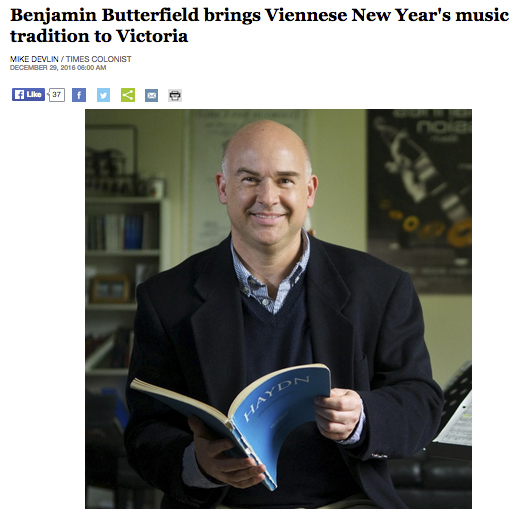 Music professor Patrick Boyle January 21 “Deep in the Groove” faculty concert was featured in the Dec/Jan issue of Boulevard magazine. The concert also features Music alumni Tony Genge and Kelby MacNayr. “If you like to swing deep in the groove, you should definitely be at this concert,” says Boyle. There’s no direct link, but you can click here and navigate to pages 116 & 118. 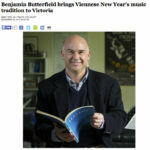 A number of School of Music performances—including the January 7 Emerging Alumni concert featuring Jiten Beairsto, Sydney Tetarenko and Emily Burton, and the January 8 “Brass Menagerie” faculty concert by Music instructors Paul Beachesne and Scott MacInnes — were highlighted in a round-up of music events in this Times Colonist article. 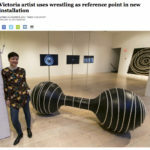 Visual Arts professor Megan Dickie‘s new exhibit at Open Space, “One Way or Another”, was previewed in this Times Colonist article on January 12. Described as “her biggest and most ambitious art project to date.” “Part of this is inspired by reality television shows where they’d doing activities and failing, like running through courses and stuff,” Dickie said. “There is pleasure in seeing somebody — not fall and hurt themselves — but to go to those limits and not succeed. That’s all in there.” The exhibit runs through to February 18.